5 Visiting Thailand while dating Thai - a pitfall for foreigners. Try to understand a little about Thai culture and social manners. Thai love of Thailand and its culture is part of their identity. Foreigner should not underestimate this. A diplomatic incident illustrates the importance of this. In April, 1998 the wife of a Finnish diplomat apologised for striking a young Thai boy after he reportedly showered her with water in Pattaya. The incident happened during a favourite Thai festival, Songkran, in which Thai people shower each other with water and flour to celebrate the New Year. For days, Thai men and women all over the country travel in groups by truck or other vehicles engaging in childish behaviour on the streets. Foreigner should understand that the Thai love their tradition and having fun is part of it. Thai frown upon corporal punishment so that when the farang woman struck the boy, it was no surprise that police had to be called as an angry crowd developed. > Try to smile as much as possible and be polite. > Do not lose your temper even if it is entirely justified. > Respect the Thai King, Thailand and Thai culture. Most Thai live in rural areas, in spite of the large cities, and this is bedrock of Thai society. Thai have deeply rooted traditional values such as respect for their parents, the elderly and authority. But Thai not only love fun, its part of their culture. Thai like to do something when it is 'sanuk' meaning fun. For instance, Thai love eating with other Thai, entertaining each other. Many foreigners will see a contradiction here. How do you balance the importance attached to days spend hurling water at each other with this apparent respect for authority? And there's more. Thailand means 'land of the free' yet Thai women display devotion and reverence for authority. This is the enigma that foreigners find so difficult to understand when it comes to dating Thai. But it is very real. Thai openly embrace their culture and love of Thailand at all levels of society. The origin of many facets, attributable to the behaviour Thai, is the country's dominant religion: Buddhism. Many Buddhists believe that your current life is influenced by the amount of good deeds from a previous life and thus your next life will be influenced by how you behave in this current life. It is a peaceful religion that discourages extremism. It trains Thai put great emphasis on the middle ground and the right of all people to live their life as they think best. You will find fairly quickly that Thai prefer to avoid conflict at all costs. E ven at the expense of the truth. Thai abhor anger or unpleasant behaviour. They will smile at you if you get angry even if they might, at that moment, detest you on the inside. Thai are trained to hide their true feelings, this is their nature. This contrasts with prevailing trends in western society where bluntness is a character trait that is highly rated. Thai will accept fate and try not to complain, where possible. This is also a trait that runs counter to western culture at this time. Thai and Thai people in general are a happy go lucky people who respect each other and this is greatly to their credit. This is what Thai call freedom. Some westerners (Farang) find the alien culture in Thailand stressful particularly on a first visit, while other revel in the respect shown by Thai and people in general. Both instances can lead to macho behaviour which many Thai will consider not polite. Remember your manners when you decide to visit Thailand, it is a quality that is valued. Thai are essentially very friendly, helpful and generous. 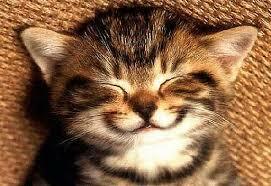 One of the keys to success is to smile brightly and as often as possible. It has to be said that this is true in all societies but Thai pay particular attention to a smiling, happy disposition. Thai associate your smile and happiness with being a good person, a lucky person. If you can combine this with politeness and good manners, you are well on your way. Certainly the most important thing to remember when in Thailand is to show respect for Thailand, its government and the Monarchy. 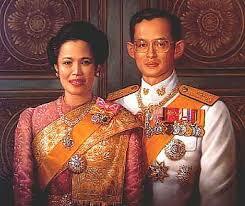 You will find that all Thai love and revere their monarch and this is true of all Thai from all ages and backgrounds. It is hard for foreigners to truly grasp this. Be careful not to disrespect the Thai King in anyway particularly while in public. Thai will not only be extremely upset but you may also risk sparking real trouble with the police as it is a crime to speak badly about the King in Thailand. You will notice immediately on arrival in Thailand the reverence for the King from pictures of the King, the Queen and the Royal family to songs and anthems on TV and radio. You will see the King and the Thai Royal family honoured on all broadcast media at least twice every day at 8am and 6pm. If you hear or are present at some performance or when the anthem is played, show respect, stand up and do not talk. Many westerners will be surprised at how seriously many Thai are deeply superstitious believing in it as a guide to when to undertake projects or sanction them. Another interesting thing about Thai is their fascination and belief in ghosts. 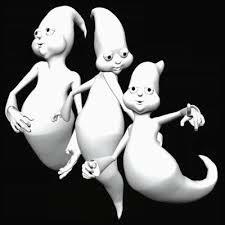 Most believe that ghosts should be placated and treated with respect.